Come join humorist Milton Crabapple as he takes his friend O’Neill turtle grabblin’. 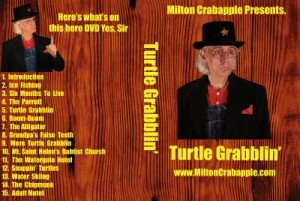 Also included in this hilarious collection are some of Milton’s buy viagra cheapest stories and philosophies on life. It’s guaranteed fun for the whole family!